Alexander's Steakhouse is a fine dining interpretation of the classic American steakhouse with hints of Japanese influence laced into the menu. 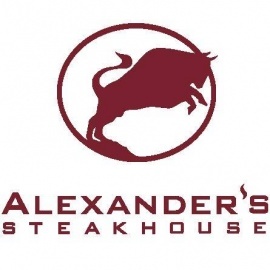 Located in Cupertino, California, Alexander's Steakhouse is a welcome addition to the South Bay dining scene, receiving numerous awards and accolades since it's opening in 2005. Alexander's Steakhouse features the finest and most luxurious products in addition to its own dry-aging room and 28 day dry-aged steaks of unparalleled flavor.